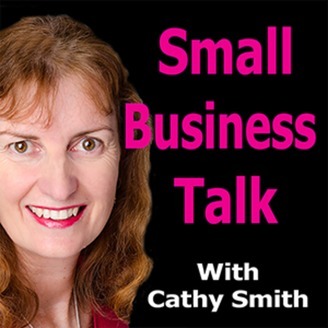 Small Business Talk is a podcast is for business owners and entrepreneurs who want to find a better way to run their businesses without having to spend years doing it the hard way. Discover tips and techniques that you can use to take your business to the next level. Enjoy episodes with our guest experts; along with deeper dives into tools and tips that you can use in your business. The tools and tips these episodes are in easy to follow actionable steps, so you will not want to miss them. 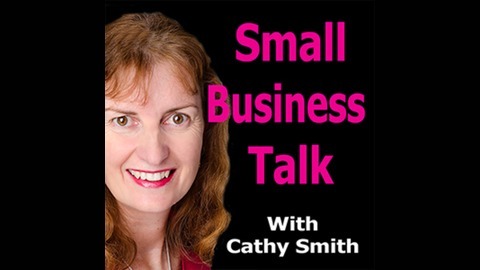 Small Business Talk is hosted by Cathy Smith who has run the same Marketing Agency for more than 17 years and helped hundreds of business owners achieve their marketing goals. Learn about building your social media channels, how to get Google to love your website, developing a digital marketing strategy, tools to make your business life easier and much more. Whether you’re a small business owner, seasoned entrepreneur or just beginning your business journey, this show is for you. New episodes every Thursday. Impostor Syndrome What Is It and Do You Have It?